Just because you need practical, cool food storage in your kitchen doesn’t have to meant that you should compromise on your kitchen style. Without breaking up the lines of your kitchen cabinetry, an integrated fridge fits neatly behind your decor doors to be accessible just as if you were opening a cupboard. Fitted with every bit of our latest cooling technology, you can rest assured that your Amica fridge will keep food and drinks fresh and tasty for as long as possible. 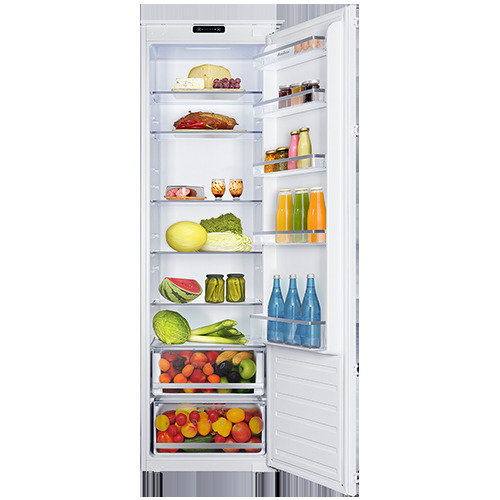 The UC1503 is a 60cm integrated larder fridge. It comes with an excellent A+ energy rating and features 3 glass shelves, a salad crisper and bottle compartment for flexible food storage solutions. 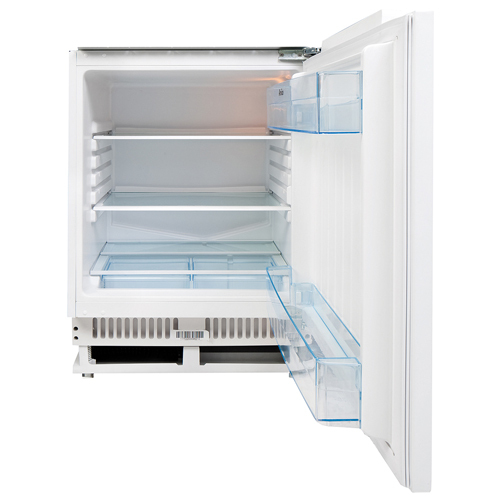 The BC2763 is an A+ rated integrated fridge. It comes with adjustable thermostat control and LED lighting. The fridge contains 6 glass shelves 2 salad crisper, 5 in door balconies and egg tray making it a energy and space efficient appliance.